Click the ADD TO CART at the top of the page and BUY the best in Baby Skin Care Now! 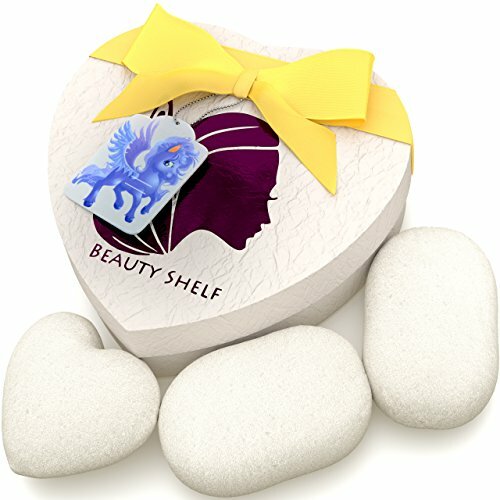 KONJAC SPONGE (3-PACK) - Package includes two bath ovals & one heart shape facial sponge - 100% natural white hypoallergenic sponges. SENSITIVE SKIN - Gentle enough for babies, kids & skin conditions like rosacea, excema, dermatitis & psoriasis. NON-TOXIC - Completely free from harmful chemicals such as Sulfates, Parabens, Phthalates, and Petroleum. EASY GRIP - Tested by mothers, our shapes are the easiest to safely grip while washing toddlers. SAVES YOU MONEY - Use little or no expensive cleanser. Comes with a 100% Satisfaction Guarantee. If you have any questions about this product by The Beauty Shelf, contact us by completing and submitting the form below. If you are looking for a specif part number, please include it with your message.